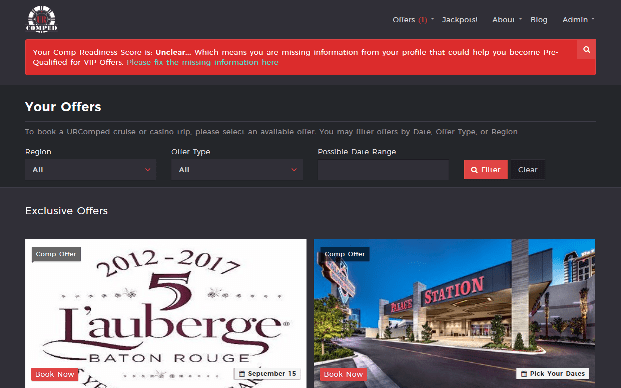 One of our best ever projects in the Hospitality tech segment, Urcomped.com which has data of around 3600 hotels and casinos around USA and Caribbean islands. Client wanted a hotel booking system better than Expedia which promotes Casino players giving them comp-off on the basis of their points and money spent by them. It also lists famous events in top places like Caesar’s Palace, MGM Grand Las vegas etc. And lets you book them in advance. We made functionalities like Price Matrix for hotels to store Room rates which will update daily and as per the Urcomped Player’s earned Points. It also provides high-value slot and table game players with complimentary trips, rooms and entertainment to the best casinos and cruise lines in the world. We made this system on Asp.net MVC 5 with jQuery, bootstrap, html5 and SQL. The Founders were amazing to get accepted into Revtech Accelerator Program.